Maidenhead is a friendly and vibrant town near the River Thames, with a long history going back to the Stone Age. Until 1296, Maidenhead was known as 'South Ellington', due to its location just south of the Norman settlement of Elentone. Then, it was superseded by the name Maidenhead yet it was not until 1724 that the present day spelling was adopted. Up to 33 variations of the name have been found in old records, including Maydenhith, Middenhithe, Maidenheath. It is generally agreed that in this context 'maiden' means new and 'hythe' means a wharf or landing place. It seems likely that the settlement took the name of Maidenhythe from the new wharf or hythe that was erected alongside the wooden bridge, which provided the first Thames crossing on the main London to Bristol road. It was the bridge that brought prosperity to Maidenhead and put the name firmly on the map. The expansion of the town began with the coming of the railway, and it grew substantially until today it is a significant town in the heart of the Thames Valley and home to many local and international businesses and of course great shops. 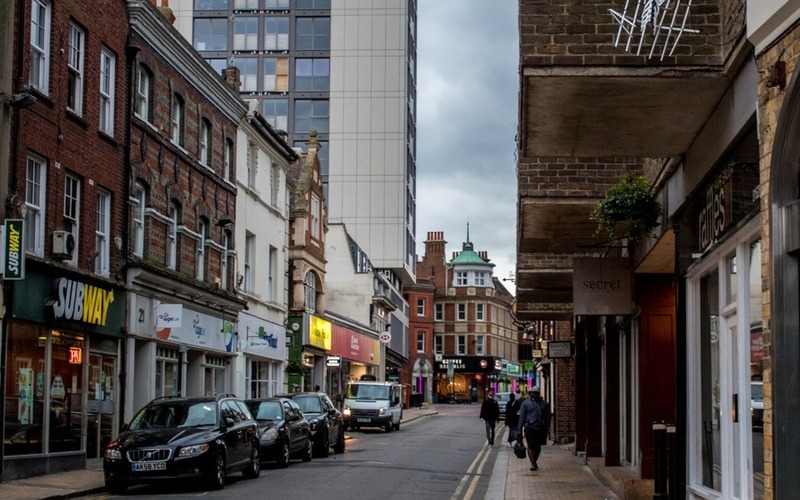 Maidenhead offers a range of more than 200 large and small shops, from the well known names you would expect to the many small local shops that you will just love to discover. From flowers to furniture, from footwear to food, all your needs are catered for. What’s more it is all in one convenient, compact location, which blends old and new from a pedestrianised High Street and adjoining traditional streets to Nicholsons Centre, a modern shopping mall. You can also visit the Maidenhead Farmer’s Market on the second Sunday in the month and buy local produce. Or the travelling continental markets that visit the town at intervals during the year. Whether you arrive by car, train, bus, cycle or on foot you will find the town centre easily accessible. There are more than 3,000 car parking spaces, a rail station, and several bus stops all conveniently situated in the town centre as well as cycle parking. The needs of disabled drivers are catered for with designated parking bays, both on-street and in the car parks. The SHOPMOBILITY service, located in Nicholsons Centre car park is pleased to help the less mobile visitor who requires a wheelchair or scooter. Do you fancy a swim, a workout, or a game of badminton? Then visit the Magnet Leisure Centre with a crèche open to shoppers. If you prefer a game of tenpin bowling, the Superbowl is next door. 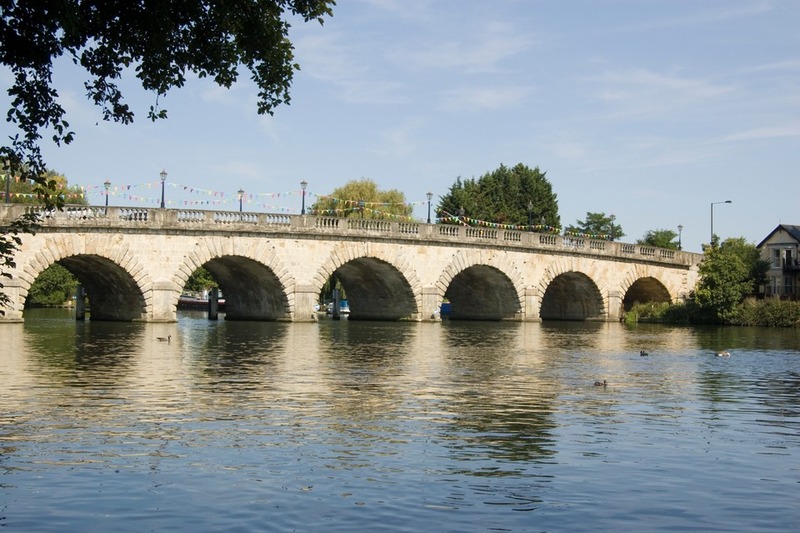 If you are an outdoor person, why not take a short walk down to Maidenhead Bridge, where you can enjoy the views and a pleasant stroll along the River Thames? Or if you prefer, stay in the town centre and explore The Green Way, an interesting footpath walk from Cookham to Bray that passes through the centre of Maidenhead. You may simply want to meet friends and enjoy a relaxed morning coffee, a spot of lunch, or an evening meal or drink in one of the many restaurants, café-bars or pubs in the town centre. There are so many to choose from you’ll be spoilt for choice. There’s always something different happening. Entertainment and events are staged at various times throughout the year in the town centre. The Carnival is held in June each year and the Christmas Lights Switch On Event in November plus many more events throughout the year. So that you can enjoy your visits to the town, great care is taken to ensure that the streets are kept clean and tidy at all times. You can also feel safe in the knowledge that the town centre is covered by 24-hour closed circuit TV and a community radio network.